While we were in San Diego we took some time to head over to Sea World to make sure Shamu was doing ok and eating his vitamins. Sea World holds some very fond memories for me from my childhood with my mom, sister and grandma. While on sabbatical I was blessed to be able to take our family there for an amazing day with my wife and girls. This was the girls second trip to Sea World; the first time we went was for Sophie's 2nd birthday and at that time Leah was only 6 months old. This time was great for both of the girls to see all the sea life and get to spend some quality time as a family. Before heading in to the Shamu show we decided to stop by and see the whales real quick. This was a huge treat to be able to see the whales up this close! 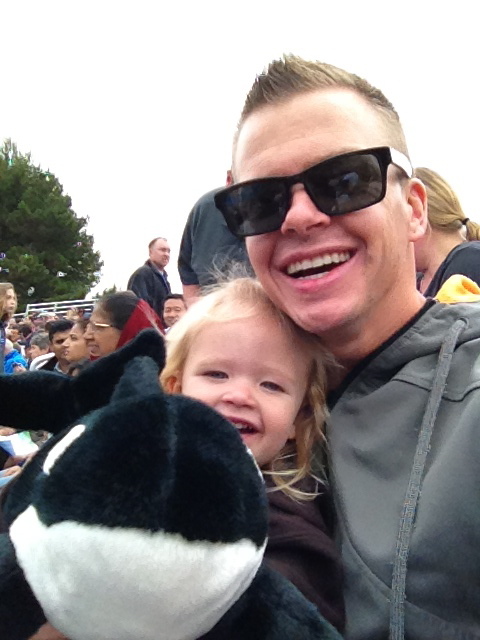 While in the show Leah wanted to take a picture of her and Shamu. This was a huge treat for me because I think when I was younger we weren't able to afford getting a stuffed animal when we went to places. This time we made sure to save up so we could eat all the popcorn and pretzel's we wanted (thanks Charity). In addition to seeing Shamu we basically did the entire park (except see birds on the map that Sophie noticed). We saw the sea turtles, the sharks, the penguins, the polar bears, the dolphins, the sting rays and The Sea Lion and Otter show. 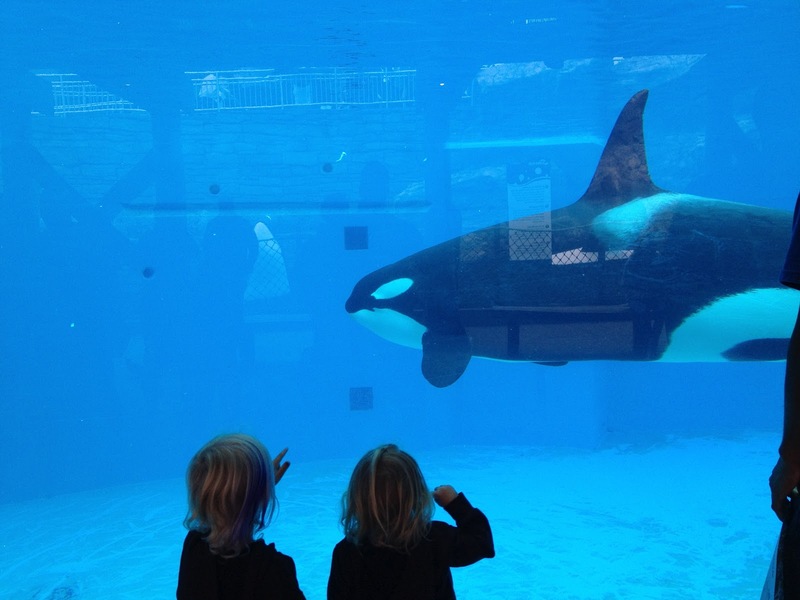 I wish I had a picture of Charity and I from this day because I am so glad that she encouraged us to take the girls to Sea World. She knew how tired I was and how much I needed this time with our family!